Police sources say a raid on the Moscow headquarters of the Church of Scientology earlier this year revealed spy equipment installed in reconciliation rooms. A leak claims the recordings could allegedly be used to blackmail parishioners of the church. Illegal audio and video recording equipment was planted in the headquarters of a religious organization situated on Taganskaya Street in downtown Moscow, says Russia’s Investigative Committee representative Yulia Ivanova. “As part of criminal action a search was made in the premises occupied by the religious association. The search revealed special technical devices, used for surreptitious obtaining of information, being installed in the personal interview rooms,” Ivanova said, adding that investigation on the issue continues in order to determine who, if anybody, was at fault. Initial reports about a search being made in the Church of Scientology headquarters in the center of the Russian capital emerged in late January. LifeNews media outlet reports that a search warrant was issued after police received a tip that a variety of recording devices, including microphones and cameras, had been secretly installed in the Church of Scientology and routinely used by its members. Technical devices have been allegedly detected in rooms where confidential conversations with people – so-called 'auditing' – took place, LifeNews reported. 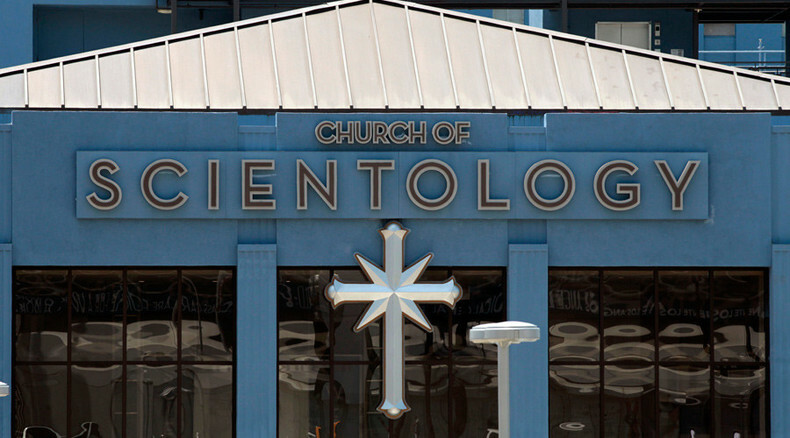 Aсcording to its police sources, Moscow's Church of Scientology recorded interviews between visitors and auditors allegedly to later blackmail the former. Scientology, founded in 1952 by L. Ron Hubbard, is often accused by critics of being a cult and a commercial enterprise. Dubbed as one of the most controversial new religions of the 20th century, it teaches that people are immortal beings who have forgotten their true nature. According to Hubbard, "a civilization without insanity, without criminals and without war, where the able can prosper and honest beings can have rights, and where man is free to rise to greater heights, are the aims of Scientology." The Church of Scientology previously came under the radar of Russian law enforcement authorities back in the 1990s, when intelligence agencies came across questionnaires that Hubbard's followers distributed to potential members. A thorough analysis of the booklets showed that they met all the criteria for ‘hosting professional intelligence activities’, LifeNews reports. People were not only asked about their marital status, religious beliefs, interests, income and hobbies, but for instance, if this or that person had previously served in the military, Scientologists found out the particular number of his unit and the exact whereabouts of the weapons storage sites. “Signs of a destructive, totalitarian sect have been found in their activities,” a former employee of the department for combating organized crime in Moscow, who spoke on condition of anonymity, told LifeNews. “This sect does not give one any freedom of choice. People are given no chance to leave. They are being kept on a short leash instead, constantly put under pressure. A person becomes dependent on the sect members by virtue of the information that he had given them,” the source added.